Most of the web hosting providers employ web security services to protect their clients' websites from cyber attacks. Unless we have a technical knowledge ourselves, we just need to trust that the platform is securely protected. Nothing in this world is completely secure. There's no point being paranoid about it, is there? Today I'd like to explain why Siterubix is proud to claim the most secure web hosting provider that anyone can afford to use. One thing we have to do ourselves is to stop spam comments entering the page without approval. Many spam comments are delivered by bots, automatically programmed to send across, targeting towards any blog comment boxes. The more popular your site becomes, the more frequently it tends to receive bot spam. Not only does a spam make your sites look unprofessional, it leaves a bad link. Search engines dislike bad links, hence a spam adds dangerously negative SEO effects to your sites. So by all means, you must make sure to prevent it from landing. Not to delete it after it's already landed! What we commonly do is to use spam shield plugins, and there are many available for WordPress users. WP-SpamSheild Anti-Spam is one of the powerful plugins, Akismet is another one, and Antispam Bee is another one. Many more. These plugins are able to detect comments that are not written by humans, also match against a public anti-spam database and block as many as they're capable of. But hold on, I was talking about secure web hosting provider...not WordPress plugins. Yes, the point is here. Websites still receive a lot of spam​ in this case. The plugins deal with it and prevent it from appearing on the face of your page. ​But of course, these plugins can't block all the spam comments. And the comment section of a page is not the only place that spam bots crawl into. Sign-up form is another one. The form providers try their best to prevent spam email addresses from registering, but unfortunately cannot block them completely. 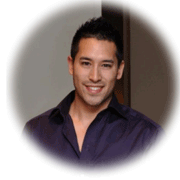 Carson, co-owner of Wealthy Affiliate explains how Siterubix has come up with the strongest-ever security measure recently. I'm glad I've read this article, because it was something I was always wondering. Most of my own websites are hosted by Siterubix, because for $359 per year ($30 per month) you can have as many websites hosted as you wish, which works out as an incredible bargain package. But one site I own for my client is hosted elsewhere, because the login is shared with my client. This particular site receives a lot of spam comments. They would bypass the anti-spam and wait in the comment box for me to "approve" on a daily basis. The first thing I do in the morning is to clear them and block the IP addresses. This web hosting company is decent, works in partner with a web security service and they're well-known. But I've never, ever had to clear spam comments on my other websites hosted by Siterubix. So this proves that Siterubix has the best possible secure anti-spam system and, with the additional security measure by SiteProtect as Carson explains, the system is now even stronger. 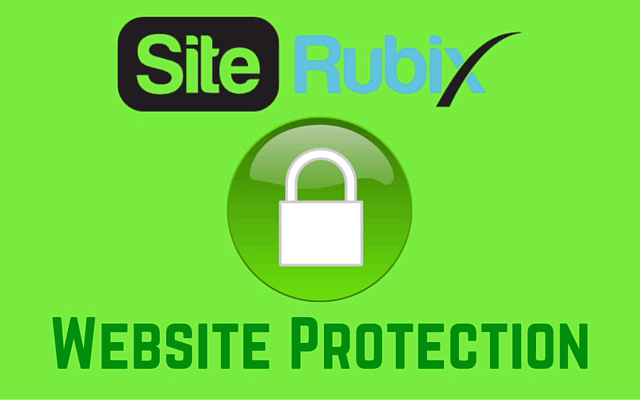 You can create up to 2 websites for free with Siterubix, but this strong security protection only applies for the premium membership, which I think is fair enough, don't you? There are many large corporate web servers with extensive security measure implemented in the whole world, for sure. But I believe Siterubix is the most​ secure web hosting provider for individual multiple online marketers.